If you are a citizen of USA, you know that nowadays it isn’t as easy to get a valid job as it once was. And it is even harder for people that are claimed as foreign workers. 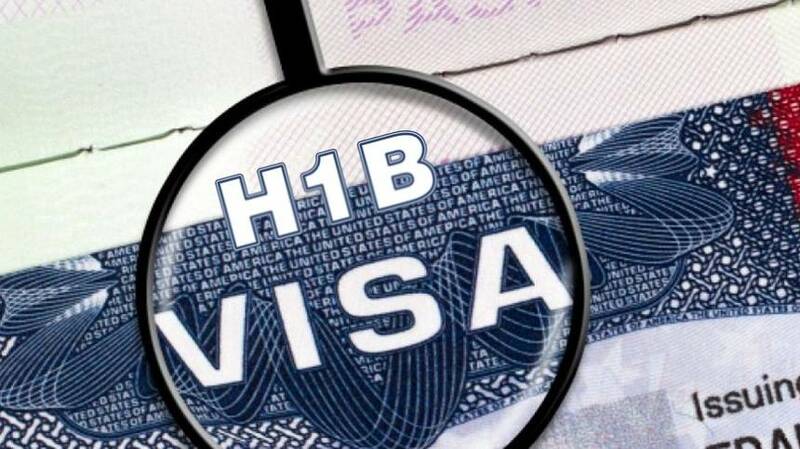 The H-1B visa is a handed out by the immigration department and as seen as an approval for a foreign worker to temporarily work in his specialty for a certain company. Now, the law has actually limited the number of visas that can be issued each year, so even if a foreign worker is compatible with all the conditions he might not get the visa. And another problem with the H-1B is the fact that it takes a lot of time to get a response. According to Blind, an anonymous social network the tech industry seems to be hiring the highest percentage of the H-1B approved workers, with famous USA companies taking four out of top 10 places in this specter. And indeed these companies rely on the foreign workers that are temporarily hired. As we mentioned above the visa approval process can take quite a time and anonymous tech workers have been expressing their concern as they weren’t receiving any type of answer for months. The immigration department usually needs 6 months to respond to a visa request, and the risk of that is that till then either the company might not need the worker anymore or he has lost interest. Officially there is a solution for this called H-1B premium processing – this in terms means that the waiting time of 6 months is cut down to 15 days at most (for an extra fee of course). And this was a pretty popular option that was of great benefit for tech workers who had everything set and ready to be instantly approved. But a month ago the immigration department went ahead and suspended some of the premium processing till at least February 2019. How did this and how will it affect the tech industry? Let go ahead and see. Well, apart from people waiting for their H-1B Premium Processing as well, people that applied for visa renewals are at risk as well. The previous mentioned Blind went ahead and did a survey between the tech employees on the suspension affected them. They were given three options – YES, NO and DOESN’T APPLY. According to this website info, 10,554 employees went ahead to answer the survey. The results were quite interesting: 38.19% went ahead and answered that it did; 17.68% said that it didn’t; while 44.13 responded that it didn’t apply. As tech employees answered yes in certain companies, it might be interesting to know that the company with the highest percentage of YES was eBay with 55.4%. Following up is PayPal with 51.5% and Amazon with 44.9%. On the other hand, only 28.8% of answers from Google were YES, and Facebook was at a 35.3% rate. The results from a survey that the anonymous social network conducted are quite interesting and do shed some light on the specific situation especially with numerous forum posts being about the H-1B Premium Processing Suspension. Still, as the suspension has just begun, we are yet to see the long term effects of this, and till when will it last. So stay in tune, and be sure to express your opinion on the matter as well! Previous Story Previous post: What Are Zero gravity Office Chairs?